New life is being infused into a south Kansas City neighborhood shopping center. Developers unveiled several new tenants Saturday, which will open shop in the Red Bridge Shopping Center near Holmes Road and Red Bridge roads. KANSAS CITY, Mo. — New life is being infused into a south Kansas City neighborhood shopping center. Developers unveiled several new tenants Saturday, which will open shop in the Red Bridge Shopping Center near Holmes Road and Red Bridge roads. One of the anchor tenants will be Brookside Barrio, a Tex-Mex restaurant that provides healthy options. “I think this area has been underserved for a while, so its nice to be able to come in and give everybody around here some options,” said Luke Pickett, operating partner for Brookside Barrio. 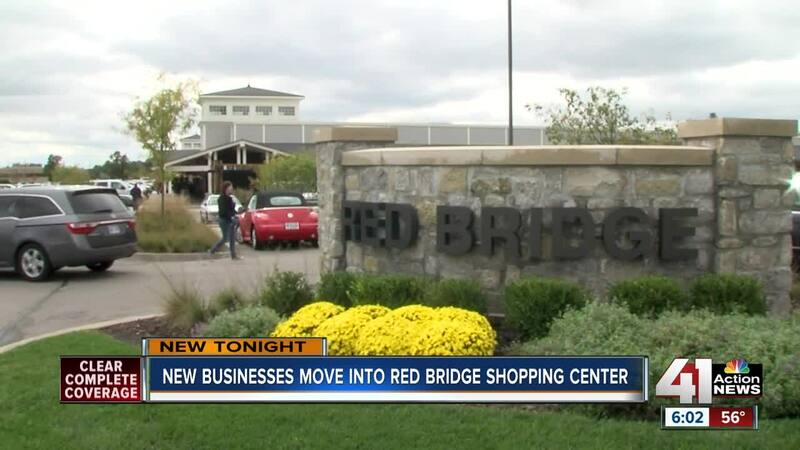 The Red Bridge Library also will move its branch to a new and bigger location in the shopping center, which also announced planned openings for a Wonderscope Children's Museum, a grocery store and Caleb’s, which will serve breakfast and lunch. People who live nearby love the planned changes. “It's going to be amazing and it's so great for this area,” Duffy Cunningham Tate said. Fellow resident Shana Bailey added, “Our family is really excited. We live right here in the neighborhood. We see different restaurants popping up that we go to." The shopping center has been plagued with struggles. Three years ago, 41 Action News visited the area and found more than half the storefronts empty. “At one point, there definitely was that fear that it would close,” South Kansas City Chamber of Commerce President Vickie Wolgast said. Instead, it's being revitalized and spurs hopes more changes are coming to south KC. “It has a long history of families coming together at the shopping center and we wanted to bring that back to the community,” Kansas City, Missouri, City Councilman Scott Taylor said. The shopping center is now almost completed occupied with most of the new stores slated to open sometime next year.